What goes with peanut butter? Everything! Lets start 2015 with a new taste sensation. 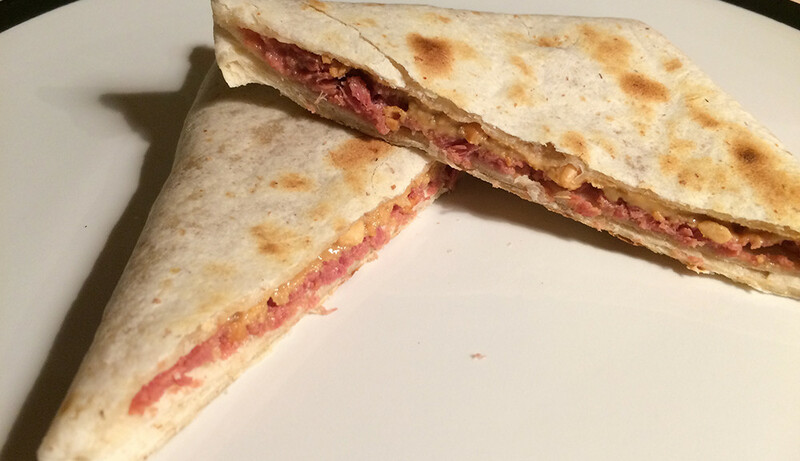 Toasted tortilla filled with a slavering of peanut butter and a slice of corned beef.